This is a one day, conversational environment where you can explore the beliefs, past, and future. It normally takes place once a quarter on a Saturday. This is where we explain everything about HiWay so that you can see where we are headed and join the journey with us. It also allows us to really get to know you. We also provide lunch! How can you say no to that? This is a requirement to become a member at HiWay, so that we can all be on the same page. Everyone needs their questions answered, but where do you go to ask them? Join the Journey is that safe place. Where did HiWay come from? What is the vision of HiWay for the future? How can I get involved with HiWay? What do members of HiWay do? 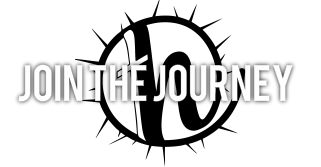 Contact Pastor George for more information or if you are interested in attending the next Join the Journey class.